If you think working as a designer for Nintendo sounds like a sweet job...you're probably right. 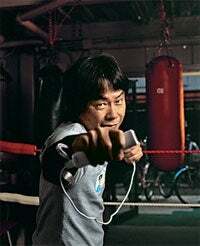 Speaking with Edge, Mario creator Shigeru Miyamoto says "One particular difference I should point out with Nintendo is that I am in charge of the EAD division and very few people have ever left that division. Very few people have ever left Nintendo at all, actually. Nintendo is unique in this respect." So there's a large group of people who have been there for decades? Yup. "For many years now, at any one point I have been in charge of 500 to 1,000 people, but quite a few of them have been working with me for nearly 30 years. And it's not uncommon at all for people stay at Nintendo for ten years or 20 years, and yet they are still looked upon as the young developers in the company! Nintendo is an unusual company, I guess." I'd like to see other companies survive for 30 years, let alone retain a number of the same key employees for that stretch of time.